The Mountain Hardwear Men's Seven Summits Short Sleeve T-Shirt offers a blend of comfort and performance in a casually-styled tee. Breathable, moisture-wicking, and comfortable, the Seven Summits Short Sleeve T-Shirt offers the best of both worlds. 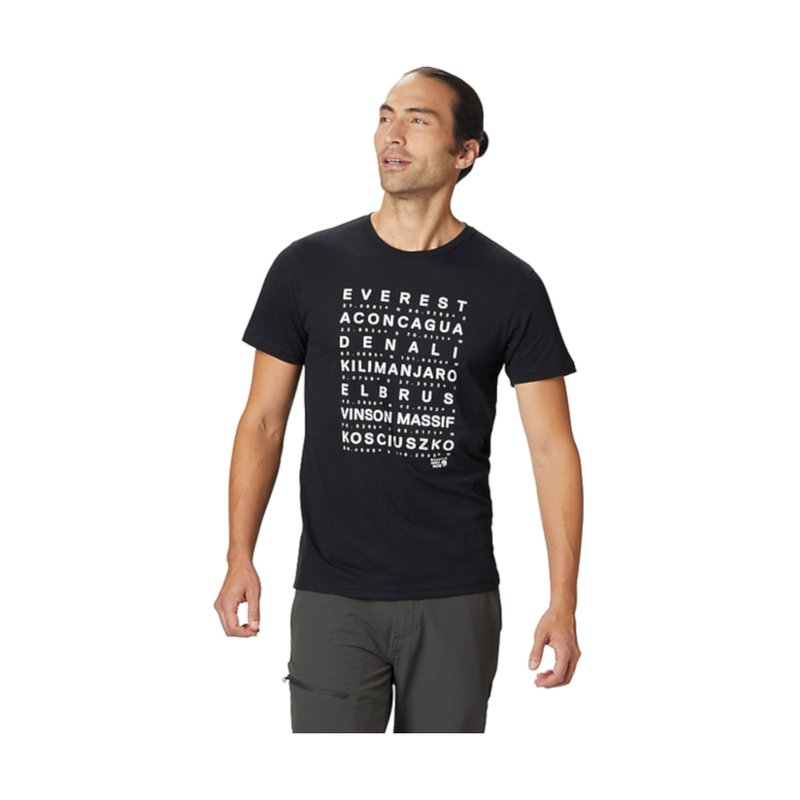 • Eye chart graphic with list of the Seven Summits at front.